Come learn more about ARRO and other resources available to the Autism Community at our booth at the 2011 Oregon Walk Now for Autism Speaks. 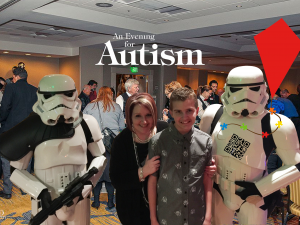 We’ll have entertaining things for kids (and kids at heart) to do, and information on a wide array of Autism resources in Oregon and SW Washington for all ages, ranging from infant (and pregnancy) through adulthood . You’ll also find information about the ARROAutism Westside Family and Community Center, a space made just for YOU! 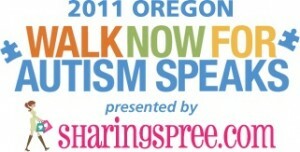 Kathy Henley, President of Autism Research and Resources of Oregon will be tending the ARRO Booth at the 2011 Oregon Walk Now for Autism Speaks. Autism Research and Resources of Oregon (ARRO) is a non-profit organization dedicated, in part, to developing, and maintaining, the ARRO Westside Family and Community Center so it can continue to provide the Autism community with a place to meet, share ideas, offer support, and provide autism-related services. Financial support for the ARRO and for the Center is derived entirely from Donations, and from fun filled events like annual Sean’s Run from Autism, Arrtism Pirate Run, lectures and other events. Questions? Contact ARRO’s Executive Director Kathy Henley at kathyh@arroautism.org, or call (503) 351-9255. This entry was posted in Autism Activities, Autism Awareness, Calendar, Fundraisers, News and Updates. Bookmark the permalink.